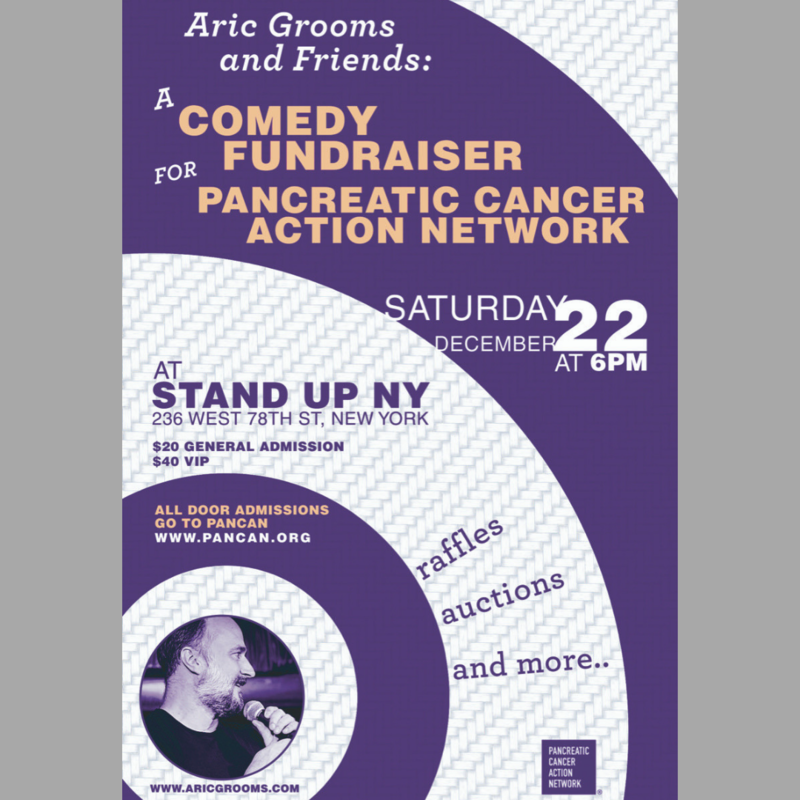 Join NYC comedian Aric Grooms and some of his funniest friends for a night of laughs to support the Pancreatic Cancer Action Network. Founded in 1999, PanCAN is dedicated to fighting the world’s toughest cancer. In their urgent mission to save lives, they attack pancreatic cancer on all fronts: research, clinical initiatives, patient services and advocacy. Their effort is amplified by a nationwide network of grassroots support. Aric is thrilled to lend his time and talent to support this wonderful organization. 100% of all door proceeds go toward this fantastic cause that helps so many!